Getting there: This seemingly forgotten eastern corner of the Giant Mountains is easily accessible via the motorways to Dresden, then Zittau and further east towards Trutnov. 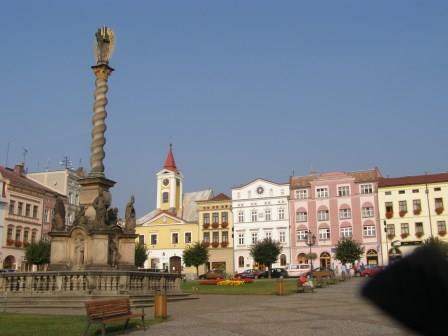 Or a flight to Wrocklav, Poland and 70 km to the south by public transport (international train). 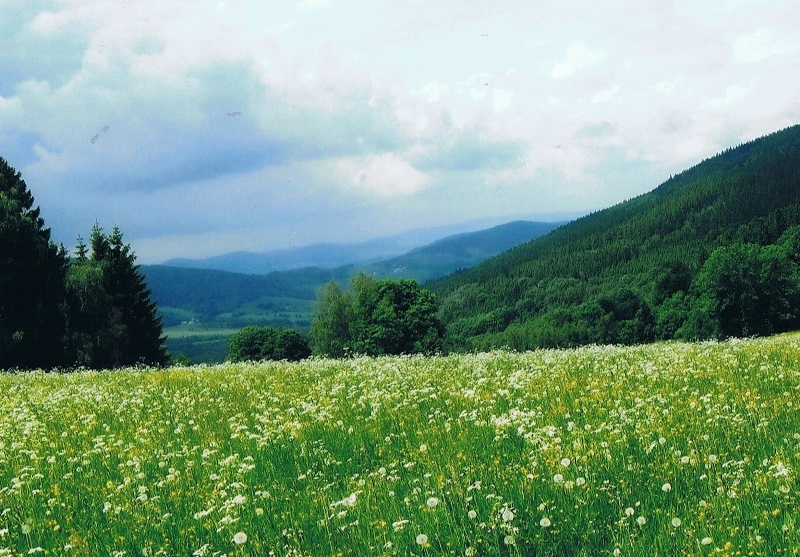 The Broumovsko is a protected nature reserve, has an area of 41,000 hectares and has been a protected nature reserve since 1991. 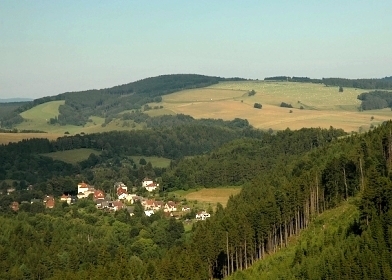 The area has two national nature reserves, Adršpašské skály (the Rock town) and Broumovske steny (Broumov walls) and two regional nature reserves. Maps: Good walking maps, like everywhere in the Czech Republic, can be bought at shops and kiosks. Or: the map 425 Broumovsko, Adršpach - Shocart. Accommodation: It’s no problem to find a place to sleep and eat. B&B’s, “Zimmer frei”, hotel, private pensions. 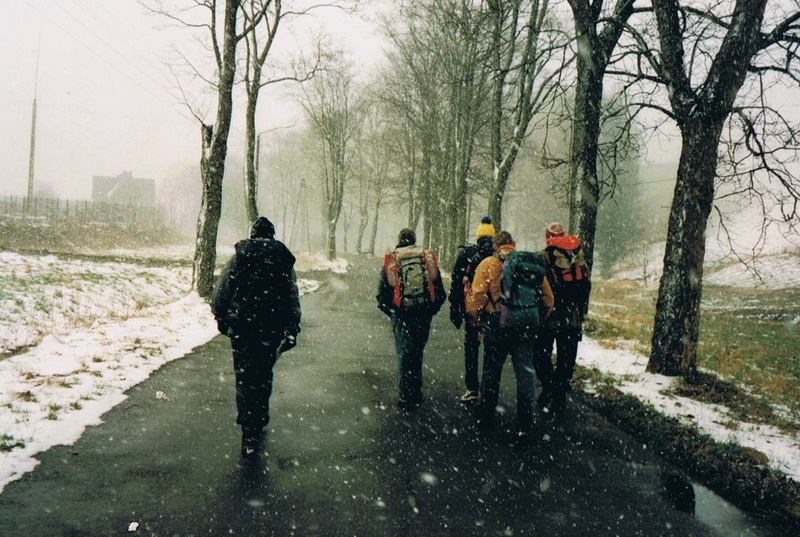 Easter 2001: a circular walk through the fascinating nature in the borderland between the Czech Republic and Poland, between Adrspach, Broumov and Mieroszow. 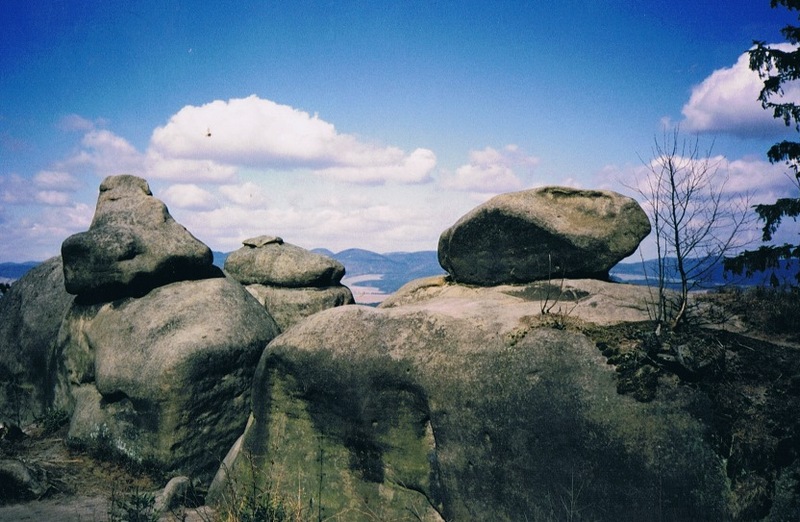 Highlights are perhaps the marvelous and strange mass of rocks you come through: the Rock Town Loop and the "Broumov wall". 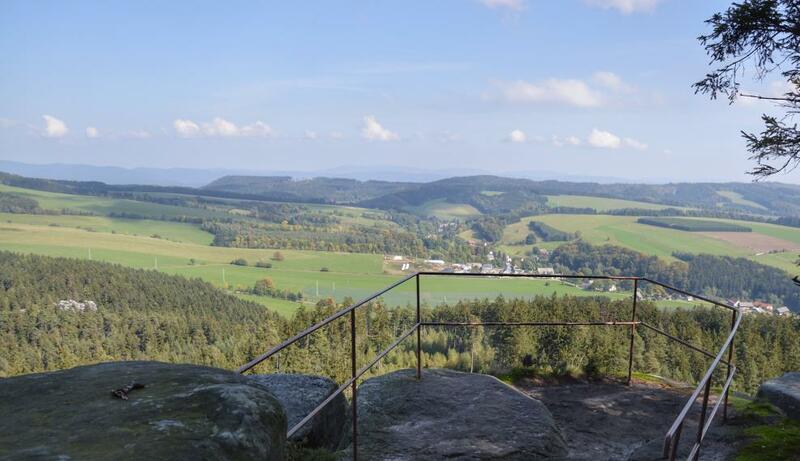 The walkway in Poland shows you a farmer-landscape before the European Common Market period……..
climbing and narrow passages.Not really suitable for people with acrophobia. 2019: the Rock Town loop is pretty commercialized: fast food, tickets, buses and buses, a lot of noise. But there are still good alternatives. itself. The train is on the video, below. 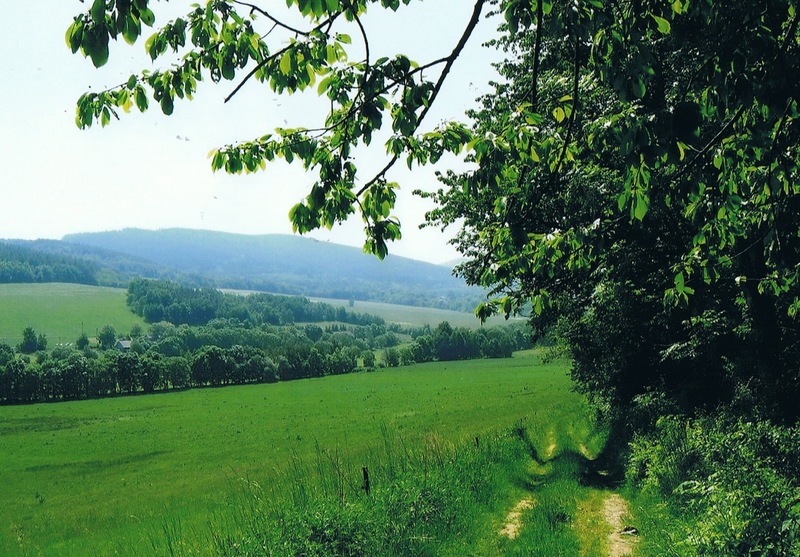 On trail: a varied area, mountainous, alternating forest and large open spaces, quiet idyllic villages. In Poland beautiful wooden farmyards. 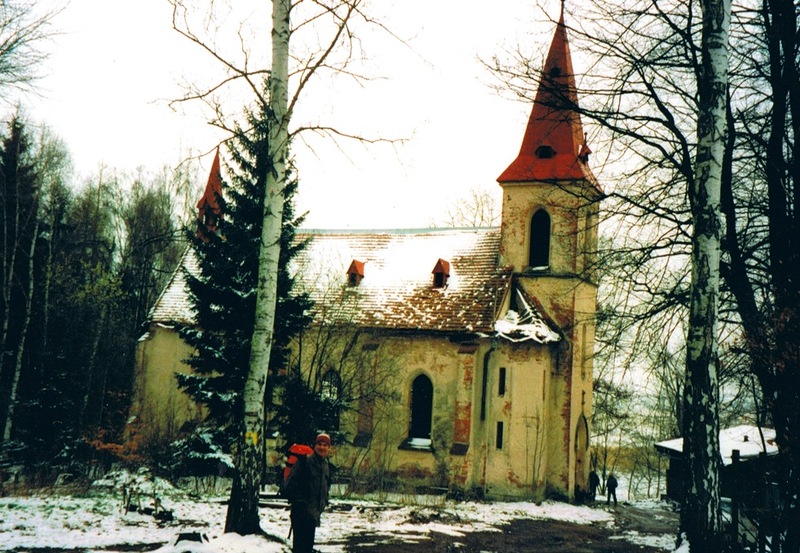 The train between Mieroszow and Mezimesti is a special experience. 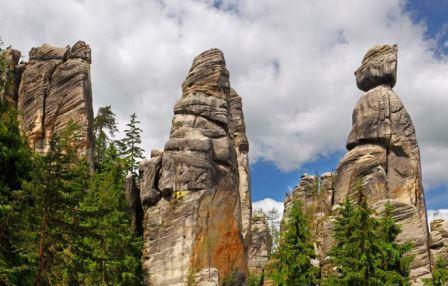 West of the town of Mieroszow (P) you'll find another rock formation: the Czartowskie Skały. The hill trail day 2, the Broumov wall, is surrounded by sandstone formations, some of which 40 metres high, reaching total height of nearly 700 metres.